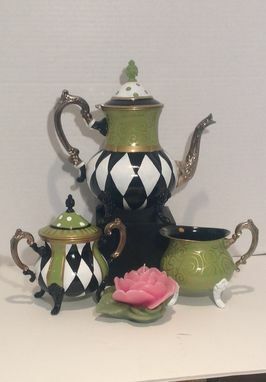 One of my favorite customers from California, sent me this tea set and asked me to paint it in a harlequin and apple green design. She has a great eye, and this was the perfect selection her home. This is the result. It's just gorgeous. 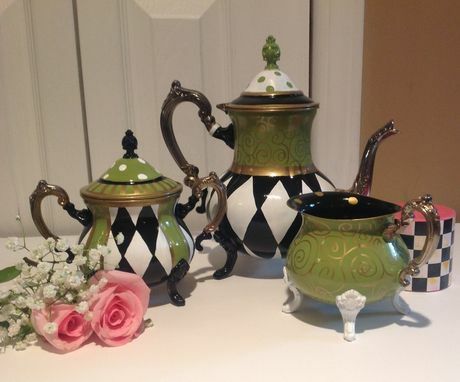 Oh how I LOVE to paint the tea sets. They truly are a treasure - each and every one. 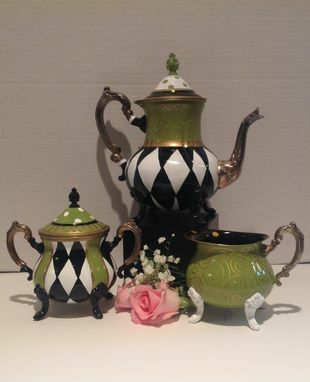 "THIS is so adorable I LO VE LOVE LOVE it...can't WAIT to put it on the table!!!" Additional pieces, like trays etc, are an additional cost.